A number of cruise lines have released some of their best offers for 2019. To help you pick the perfect cruise for your next trip away, we’ve pulled together a few details of the new ships, itineraries and voyages launching next year. The Rhône is one of the major rivers in Europe, running through the mountains of Switzerland, the heart of France and then into the Mediterranean Sea. So, it’s safe to say that cruises along the river offer plenty of opportunities to see both natural and cultural sights. CroisiEurope has announced that in 2019 it will increase its capacity to four ships on the Rhône, allowing for it to increase the number of cruises that it runs along the river. Cruising can provide the chance to explore a country or region in a way that you would not have otherwise been able to, but the provision of on-shore excursions allows for passengers to truly experience the area they’re travelling through. Andante Travels and Voyages to Antiquity will offer collaborative cruise and land tours across the Mediterranean in 2019. Passengers travelling on the small vessels will be able to visit areas traditionally deemed as inaccessible, while experts on board will provide a cultural and historical insight into the areas visited. A visit to the Galapagos and the volcanic archipelago is one to add to your destination wish list for 2019. Follow in the footsteps of Charles Darwin as you explore the very same unique landscape that he landed on and see for yourself the iconic wildlife that he spoke of. From January, G Adventures will welcome a new 16-passenger yacht to its fleet for Galapagos Islands sea-based tours, making it even easier to explore the many islands in the region. One of the great things about travelling is getting to sample the local cuisine but it’s not always easy to know where to go for the best wining and dining experiences when you’re somewhere new. 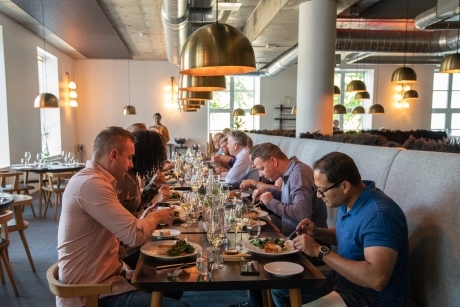 Holland America is set to launch 20 new onshore food and wine excursions in destinations including Bangkok and Massachusetts, offering passengers the chance to go on culinary walking tours, visit wineries, sample authentic street food and discover hidden cookery gems. Sometimes it can be tricky to please everyone when booking a fixed itinerary, but European Waterways’ River Cruise Collection, launching next year, will offer flexible itineraries for groups, making it easier than ever to keep everyone happy. The new cruises running across Europe will include suggested highlights and excursions for a variety of trips along rivers including the Thames, Seine, Danube, Loire and Rhône. Set to launch in April, Spectrum of the Seas will be the fourth high-tech ship to join the Royal Caribbean’s fleet. Featuring skydiving simulators, surfing lessons, a 300ft-high observation pod and a Bionic Bar with robot servers, it will be understandable if passengers find themselves feeling as though they’re being transported into the future on the modern vessel. 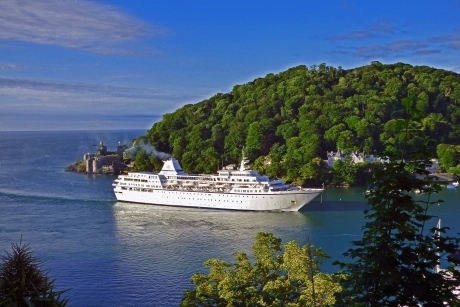 To receive the latest cruise news, reviews and find out about the best offers for group trips, go to: www.cruisemagazine.co.uk/newsletter.